NEW YORK, Nov. 29, 2018 /PRNewswire/ -- A multi-level, mid-century modern estate designed by renowned Vancouver architect Kenneth McKinley will sell to the highest bidder through leading global luxury auction firm Concierge Auctions via its online marketplace. Bidding will open digitally December 14th and close at a live auction in Hong Kong on December 20th (December 19th US) as part of the firm's December Sale, particularly targeting Chinese real estate investors. Prospective buyers may bid via the company's online marketplace from anywhere in the world. "Between its multi-family development potential, land assembly condo potential, location and superior design, the property itself appeals to a wide range of buyers," stated listing agent Mark Wiens of Dracco Pacific Realty. "In real estate, no one knowingly sells at a market peak and no one buys at a market trough. Therefore, I believe a set auction date will induce the buyers who have already expressed interest to take action. I can personally attest to the extra exposure the property is receiving since starting the Concierge Auctions process. This has already led to enquiries coming from areas where a standard Multiple Listing Service listing would not have reached." 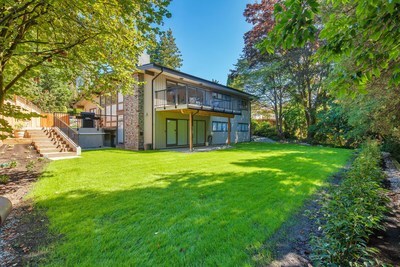 Previously offered for $3.67 million CAD, 6137 Collingwood Place will sell Without Reserve in cooperation with Wiens. The 2,900-square-foot, single-family home of mid-century architecture on the property, previously featured in Western Homes and Living magazine, is nestled in a safe cul-du-sac on the west side of Vancouver. Located on a 11,638-square-foot lot, the home boasts four bedrooms; multiple fireplaces; floor-to-ceiling windows; a spacious eat-in kitchen; landscaped yard with al fresco dining space; and parking for up to six vehicles. Additionally, recently enhanced zoning provides a new opportunity to build a massive duplex or, as before, a single-family mansion on the property, either up to approximately 8,147 square feet. For more information on this property, and to view all properties for sale by Concierge Auctions, visit https://www.conciergeauctions.com/upcoming-auctions or call +1.212.202.2940. Concierge Auctions offers commissions to listing and buying real estate agents. See Auction Terms and Conditions for full details.